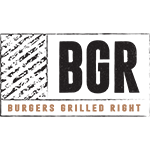 BGR’s service continues to represent our commitment to providing every customer with the unique dining experience of having their food grilled to temperature, and cooked to order, on an open flame. Not every BGR restaurant’s menu is exactly the same, but they all feature the same award winning foods. Our menu was built to showcase our unique flavors and special grilling techniques. 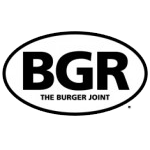 BGR uses only the finest products to craft one of a kind burgers, ahi tuna, chicken, turkey, and other Specialties. We offer our guests the opportunity to customize their own legendary burger; or, choose from our array of ‘Masterpieces’ or ‘Signature Items”. You’ll be pleasantly surprised to learn that you can also eat healthier, by selecting from a variety of healthier foods, from our ‘made from scratch veggie burger’, to our grilled asparagus, to a selection of fresh salads. All of our entrees are available ‘lettuce wrapped’, or on top of our fresh salads. Our Kids Meals have been enhanced, offering more choices and the opportunity for your children to eat healthier. We now feature some amazing salads, and a fantastic Desserts section. Worry not – our Famous hand spun milkshakes are still featured. Indicating the restaurant serves the original menu under the ‘BGR the Burger Joint’ branding, and the restaurant’s interior has not undergone a a remodel or rebranding. ‘NOW SERVING OUR NEW MENU’ Identifies the restaurants serving the new menu but operate under the ‘Burgers Grilled Right’ branding. Indicating the restaurant serves the new BGR menu under the ‘Burgers Grilled Right’ branding; and, is either newly built and branded under the new BGR restaurant Design, or the restaurant was formerly operated as a Burger Joint and has been Remodeled to reflect the ‘Burgers Grilled Right’ branding. Reston Town Center West - NOW OPEN!! !